50 Best Employee Christmas Gift Ideas For 2016! Comments Off on 50 Best Employee Christmas Gift Ideas For 2016! One of the most popular gifts you can give is custom drinkware, here at Executive Advertising we have remarkable drinkware and a few awesome choices that are on our 50 best list, the branded Himalayan is one of the finest new stainless steel drink cups, comes with lid and keeps coffee hot for 6 hours! Our personalized employee choices are some of our best and most will be used on a daily basis, and some show the appreciation that you have given to your company this year. Customize your logo on any of our 50 choices, just like all of our other store wide choices, your logo will be free with No Set Up Fees! There are some great choices for gifts that employees will enjoy using, such as our advertising umbrellas, blankets, power bank chargers, flashlights and of course pens, we use all of these promos on a daily basis. With all these ideas for Christmas, you may even want to add slogan or message to make it extra special to employees. 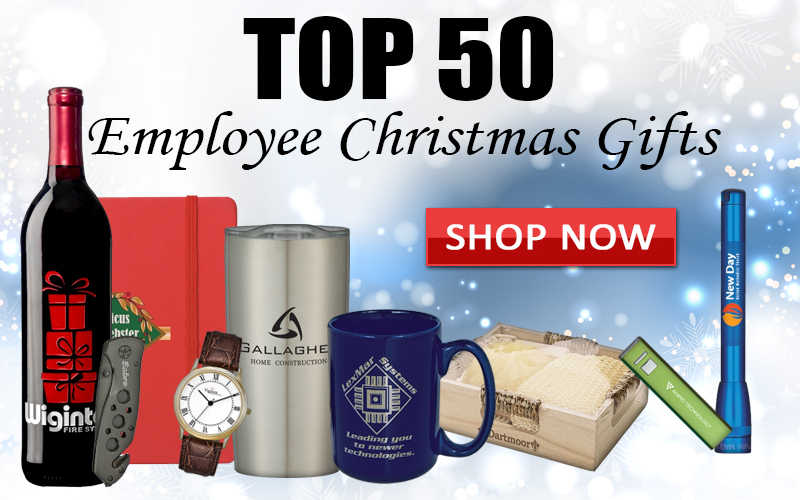 So now just take a little time and go on and view our 50 best gift ideas and see which ones might fit your business and your employees. Let our sales team know if their are any questions on our gift ideas for your business name and logo, we can and will help get everything customized and to you on time guaranteed! Let Executive Advertising help you in all your special gift buying this year of 2016! Next postWhat Customized Health Promo Can Boost Your Name Now? What Customized Health Promo Can Boost Your Name Now?